Shipping containersare the bulk of the shipping industry for the ability to hold the trade and transport of every good. These containers are built to hold various products as it shipped across all of the seas and moved from continent to continent. They hold and protects the goods from elements during the long tripto ensure they are not damaged by the end. For the shipping container, type and size matter because its structure will determine what it will carry inside of it. They have to reach a standard requirement in their sizes, usually, 10, 20, and 40 feet. A 10ft shipping container is the traditional standard, standing at 8ft-6in tall with 14-gauge grooved steel panels. The double doors are lockable when closed together; the insides could be of its natural metallic source of properly floored with plywood to make the floor even. 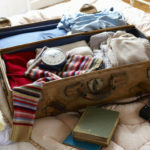 However, they are not used as much as the larger containers are and shipped off in so-called “one trip” condition. In other words, it is used only once. This makes it a good option for people who need small storage units in placed where the space is limited. They can be easily moved to residences, convenience stores, and office buildings. A 10ft storage container cansit on the driveway or parking lot and are more movable than bigger containers. A 20ft shipping container is also a standard container featuring the same height, steel panels, locks, and possible flooring as the 10-footers. It has the same characteristics, but is obviously much bigger and more preferable because it can hold extra goods and is built for multiple trips. Being longer, they are fitted with open side doors where they can bring in much wider room when stocking it. These are also popular for construction sites when carrying tons of iron and steel. It also can be used a mini, on-site garage from one standard sized vehicle. Finally, there are the jumbo ones at an impressive 40ft to carry the longest materials in safely, but is more difficult to carry from spot to another. An open top container can be found on such a size, where the top can beremoved to allow some good to sit safely. 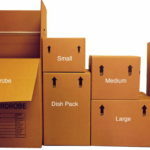 It is also more feasible for people who are into the storage unit home or office. It’s bigger and cheaper than renting an actual office and it can be easily set up for any performance. The 40-foot containers are also known as car carriers, where a middle insert can be put to hold two cars at once and hold them in place without damage. Other containers in these sizes include drums and tanks to move liquids, insulated containers, and refrigerated containers for foods. 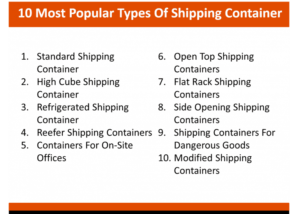 There are multiple variations of the shipping containers, even shipped in cube form, but in either size, they provide a multi-use position for people outside of traditional trading. These containers have a second life after commercial usage.